*There's a 3% charge on the total if paid with a credit card. 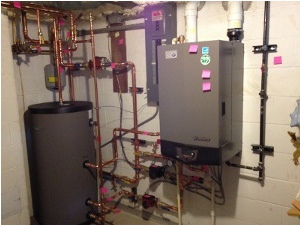 Boiler and indirect water heater system. Stickies compliments of satisfied owner! Thank you for the prompt service. Your employee was very polite and professional. Testimonial from: The Armstrong Family. Thank you so much for Great Service!! Testimonial from: Sam F., Lansing, MI. Thank You. The new sump pump works great. I Love my new toilets and the tub that drains — job well done, as always. Thank you for your wonderful service!! We all appreciate your close attention with this recent gas problem with consumers. Thank you! Thanks for everything! You guys are great!! Thanks to Miles Plumbing for excellent service. Testimonial from: Bob M., East Lansing, MI. Thank you for your Help — Thomas was Great. Thank You. We appreciate your wonderful work for us. Testimonial from: Matt R., East Lansing, MI. 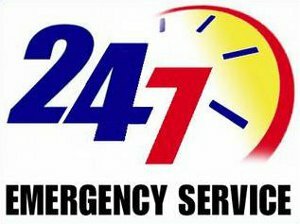 Excellent Work; friendly service representatives; I’m happy and would call you again. Thanks. Testimonial from: Ken H., Lansing, MI. Project: Removed old water heater and vent pipe. Installed new Navien 240 tank-less water heater and second 3/4 inch gas line to water heater. Also, installed a new higher limit pressure switch on our water pressure tank. I had been having problems with our tank water heater when returning from Florida. I solicited bids from three plumbers for a tank-less water heater. One wanted to charge me just for providing an estimate so I didn’t request one from that plumber. A second plumber had provided a quote for a medium size tank-less water heater and was NOT going to run a new gas line, even though the Navien brochure indicated that a half inch gas line could be used only up to 24 feet (the gas line in our house was 45 feet from the gas meter to the water heater location. Miles Plumbing provided a very competitive price including the largest size Navien tank-less water heater and adding a second 3/4 inch gas line for the water heater. The day after receiving their quote and scheduling the installation, our tank water heater stopped working. Miles moved up their installation date to the next day and had the job completed that day with a crew of four plumbers. They were extremely friendly, professional and took great care not to soil any part of the house while doing the installation. During the installation, Mr. Malone told me that the pressure switch on our water pressure tank (we have a well) needed to be larger to make the water heater work right. He also installed the larger switch for only the cost of the switch. Now in addition to a new water heater, we have much better water pressure in our house. We love the new water heater and the peace of mind of not having to worry any more about a leaking or non-functioning water heater. We have used several different plumbers over the years and Mike Malone and his crew are by far the best. Testimonial from: Wallace P., Lansing, MI. Project: I used Miles Plumbing & Heating Company for our toilet repair. We have been using Miles Plumbing & Heating since 1965. They do all our plumbing, and we do not call anybody else. Their service price is very reasonable. They are neat, and they clean up their messes. You cannot even tell that they have been here. Testimonial from: Mike M., East Lansing, MI. Project: Had Miles Plumbing & Heating Co. come out and put in a new shower valve as well as repair spout on different tub. Totally satisfied. Also use them all the time in my maintenance and remodeling work, great company. Clean, professional, polite and punctual. Testimonial from: William R., Trout Lake, MI. Project: Old faucets were rebuilt, new gas line installed to kitchen. We bought an old house and were told by two other plumbers that the tub/shower unit was no longer made in that size, and it would be an expensive replacement job. Miles Plumbing & Heating Co. was able to rebuild it without a problem. We also used them to install a new gas line into the kitchen. I paid about the same for the bathroom repairs as I had paid another plumber to replace a kitchen faucet (I had already purchased the fixture, their price was for the INSTALL only). Miles Plumbing & Heating Co. was on time, professional and offered great value. Testimonial from: Michael L., Lansing, MI. Project: They checked out my furnace and boiler. I like that they were responsive. I like that they weren’t too expensive. I like how they do their billing. Testimonial from: Heather R., Lansing, MI. Project: Attached new ball joint, cleaned out sediment from bathroom sink. My husband had tried to get hot water pressure to our bathroom sink…long story short – he ended up breaking off a valve in the basement that caused a leak. We shut off the water for the entire house, and called a few plumbers in the phone book. Miles Plumbing & Heating Co. was the only one that answered/responded. The receptionist said they would be over that afternoon, and would give me a 30 minute ‘lead time’ call since I was at work. Called to make sure it was OK that the repairman came over at 4:30. I was anxious – I know how much ‘after hours’ costs are, so I asked if I would be charged extra. She said no, because the first job the repairman was at took longer than expected, he would only charge the base rate…my next question – how much is that? $99/hour. High, I know, but if they’re going to fix the problem (and well/for good) then I’ll pay a bit extra. He came over a bit before 4:30, and got to work. I had been told by a neighbor that I may need to switch out my piping/that it was corroding on the inside. Jim (repairman) said no, that my stuff was fine, and that he wasn’t going to tell me I needed something I didn’t. He put on the new valve my husband had bought and solder it on. That still leaked. He walked me through what he had done,and what he recommended. Quickly installed the new joint (stated the valve didn’t do anything anyway – which my husband & I thought, too). There was still no water pressure in the bathroom (the initial problem). So he took a look – and there was a bunch of sediment in the pipe. He explained this was normal, and that it was easy to clean out. Asked if we would like to clean it out or would like to have him clean it? I asked how long it would take – 15 minutes – and said ‘go ahead!’ Turns out there was also the wrong type of piece at the end of that pipe (clearly different from the cold water which was working fine). He switched that while he was cleaning out the pipe – and did it all in less than 15 minutes. Because we had a leak in the basement, we had a big steralite container below the pipe to catch the drips. He apparently dropped a piece of pipe, breaking it, and offered to either 1. replace it or 2. take 15 minutes off his time. I took the 15 minutes. It was an old one anyway….Anyway, ended up charging me 1.5 hours for easily 2 hours worth of work (and 20 if I let my husband finish the job). You are given an invoice, and then billed later. Makes it easier in case of emergencies…don’t always have the money THAT day – but will in a few after payday (which was our case). Testimonial from: Cleo-Rae L., Lansing, MI. Project: I had some flooding in my basement and he came out and helped me resolve the issue. I had a clog in my water drain. They are dependable and do such good work. They come in a very timely fashion. The plumbers are all very friendly. The two men who worked at my house were polite, professional, efficient, and left barely a trace that they were there. Very pleased with service, which is why I always go first to Miles Plumbing.